The General Manager will be responsible for launching Wefarm in Tanzania. The ideal candidate for this role will take our proven growth model, apply his/her own experience, acumen, and expertise, tailor the strategy to the Tanzanian context, and implement it. The candidate will also be responsible for managing all day-to-day, in-country activities and operations, while embodying our company values. The ideal candidate for this role would have a strong track-record in setting-up and growing operations, managing people & resources, and achieving strategic business objectives. They must demonstrate leadership skill and a passion for Wefarm’s vision. Being comfortable & thriving in the agile, fast-moving start-up environment will be essential to the success of this role. This is a truly unique opportunity to personally establish a stronger foothold in global technology and agriculture with an award-winning, high-growth startup. An effective candidate will ultimately play a role in improving the lives of millions of farmers. • Finding new ways to grow our farmers’ network and reach more rural communities. 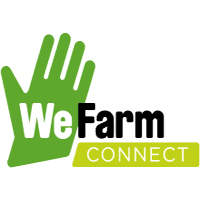 You are given $1,000 USD to sign as many farmers up to Wefarm as possible in only one week in Tanzania. Please explain the approach that you would take. Unfortunately we will only be able to respond to shortlisted candidates.